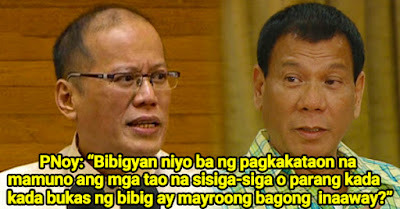 PNoy Compared Martial Law As Duterte's Leadership In His Speech! 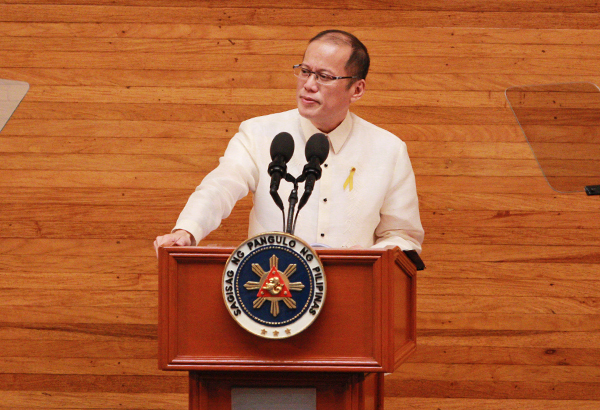 President Aquino talked about the Martial Law in his speeches. He recalled how the martial law regime used power to persecute or abuse the people. He compared it to Duterte's leadership to dictatorship. 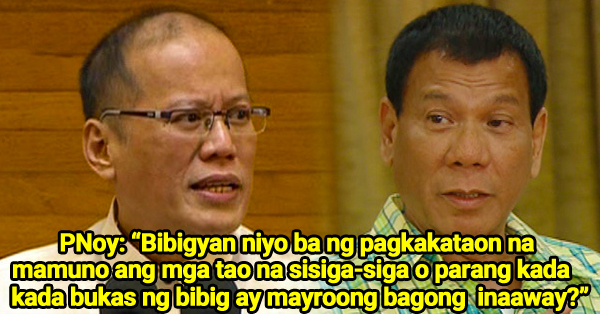 As Pnoy looked over the results of presidential polls resulting Duterte and Marcos places at the top. "Ang tanong: Bibigyan niyo ba ng pagkakataon na mamuno ang mga tao na sisiga-siga o parang kada bukas ng bibig ay mayroong bagong kaaway?" PNoy said during his speech at the launching of the Freedom Memorial Museum in the Ninoy Aquino Parks and Wildlife Center in Quezon City.